Whether or not you agree with the findings of an architecture panel commissioned by the L.A. Times, the winners of the Top 10 'best homes' (i.e., architecturally significant) certainly provide an interesting glimpse of L.A.'s residential history over the last 100 or so years. On a financial landscape littered with wreckage, WaMu, a Seattle-based bank that opened branches at a clip worthy of a fast-food chain, stands out as a singularly brazen case of lax lending. By the first half of this year, the value of its bad loans had reached $11.5 billion, nearly tripling from $4.2 billion a year earlier. Interviews with two dozen former employees, mortgage brokers, real estate agents and appraisers reveal the relentless pressure to churn out loans that produced such results. While that sample may not fully represent a bank with tens of thousands of people, it does reflect the views of employees in WaMu mortgage operations in California, Florida, Illinois and Texas. Some WaMu employees who worked for the bank during the boom now have regrets. If Ms. Zweibel doubted whether customers could pay, supervisors directed her to keep selling, she said. WaMu’s boiler room culture flourished in Southern California, where housing prices rose so rapidly during the bubble that creative financing was needed to attract buyers. To that end, WaMu embraced so-called option ARMs, adjustable rate mortgages that enticed borrowers with a selection of low initial rates and allowed them to decide how much to pay each month. But people who opted for minimum payments were underpaying the interest due and adding to their principal, eventually causing loan payments to balloon. Customers were often left with the impression that low payments would continue long term, according to former WaMu sales agents. Given the growing array of industries seeking bail-outs from Congress, the housing industry is ramping up efforts to ensure that its own Fix Housing First initiative remains at the top of the list. With an economic stimulus sequel on the fast track on Capitol Hill, special interest groups from sectors as diverse as aviation and banking are trying to elbow their way closer to the front of a long line of industries in need of some help from their lawmaker friends. Click here for cheat sheet. 1. Start your day as early as possible. The human brain tends to be more focused and alert earlier in the day, and more tired and distracted later on. Simply put: Always take full advantage of the finite hours of daylight. 2. Keep your learning curve perpetually greased. Further your education any way you can. If there are courses or workshops available at nearby colleges, attend them when the subject matter interests you. Would an advanced degree in your field, or a degree in another discipline entirely, benefit your job search or, perhaps, inspire a future career? Look into the possibilities, including degree programs that can be completed entirely online. 3. Cavort with genuinely successful people. Not rich people, necessarily. People who neatly blend the best qualities of humanity, people who are good to the core. You can learn from them. 7. Paint your living quarters. Get in touch with your inner Bob Vila or Martha Stewart. There is no better time to tackle the challenge of getting your house in order—literally. Besides, physical order goes hand in hand with psychological and emotional order. 9. Play smart. There are all kinds of games you can play with your friends, and many more you can play when you are all alone. Why not opt for the ones that will make you smarter, or at least exercise your brain as much as possible? Play games like Scrabble and chess with others. When you’re all by your lonesome, pull out a Rubik’s Cube or do the daily crossword in your newspaper. 10. Sample bizarre foods. Take a prompt from chef Andrew Zimmern’s popular program on the Travel Channel, Bizarre Foods. Zimmern travels the planet to sample local foods that most of us might deem a wee bit strange, like barbecued cow scrotum and still-beating frog hearts. Since you have to eat lunch anyway, why not broaden your horizons by trying some foods that you never considered before? You don’t have to go to the fantastic lengths of Zimmern. Maybe ordering shish kebab from a street vendor is bizarre for you. 12. Go hiking. No matter where you call home—a thriving metropolis, a bedroom community in suburbia, or a sleepy small town—there are more than likely locations nearby with circuitous trails through woodlands or indig-enous shrubbery. Visit Local-Hikes.com for ideas. 13. Go Dumpster diving. Okay, so maybe you shouldn’t physically climb into any garbage Dumpsters. (No. 1: It could be dangerous. No. 2: It’s actually against the law in many places to be crawling around in other people’s refuse.) Nevertheless, Dumpster diving—and just plain old garbage picking—has a long and vaunted tradition. The bottom line is that people toss out things of real value. Many garbage pickers find furniture that they refinish. Working lamps are regularly put out to the curb. Ditto perfectly good rugs. Traverse your neighborhood on garbage pickup dates and look for bits and pieces that you could take home and use, or, perhaps, sell on eBay or in a yard sale. Just be sure to wash your hands after any of your adventures. 14. Read a good book. This recommendation is an old favorite. Read a book in lieu of excessive television viewing and aimless surfing on the Internet. Your overall psyche will benefit tremendously. 15. Fast for a day. 16. Contact a long-lost friend. 17. Keep a journal. Spend some time each and every day documenting everything from the weather to your innermost feelings about all that’s transpiring during your unemployment odyssey. Journal writing serves as a psychological catharsis. It also improves your communication skills, which—by the way—are highly coveted in the workplace. 18. Become a shutterbug. If you’ve got a camera—preferably a digital one (no photo development costs)—take it with you on both your job safari and leisure activities. Get a shot of the sunset. Take shots of neighborhood hot spots. Snap photos of family and friends. 19. Volunteer your time. Volunteer at a local hospital, nursing home, school, or some other institution looking for help. Join a volunteer fire brigade. You can’t go wrong by giving something back to the community. In addition, volunteering your time while you are unemployed increases your visibility and your network. You now have more people invested in the ultimate success of your job search. 20. Make a video for YouTube. 22. Go ‘green.’ Install low-flow showerheads. Attend to leaky faucets. Insulate your home. 23. Work at different jobs. If you’re working part-time to plug the income gap until you find a permanent position, it certainly helps to experience new job challenges. Do things you’ve never done before. In the end, you’ll be smarter for it. For instance, working in a restaurant kitchen could teach you an awful lot, including some useful new skills. It may, in fact, teach you that you never want to go near one again. The larger point here is that working in different kinds of jobs with different kinds of people adds layers to your character and overall know-how. 24. Try new things all across the board. The same benefits of working different jobs arise with just about any other experience that’s new to you. So work at tasks at which you’re not especially proficient. Instead of hiring a house painter, paint a room for yourself. Instead of calling in a geeky neighbor to install a new computer system for you, try following the instructions without a helping hand. And this new stuff applies in all parts of your day. Sample new foods while cooking at home. Patronize unusual shops. Travel to places you’ve never before seen. Due to an inability to refinance loans for commercial property developments (which generally run for well less than 10 years and must be rolled over) and reduced income from higher vacancy rates and lower retail sales, developers are asking to be included as part of a federal rescue plan. From a Wall Street Journal story:. With a record amount of commercial real-estate debt coming due, some of the country's biggest property developers have become the latest to go hat-in-hand to the government for assistance. They're warning policymakers that thousands of office complexes, hotels, shopping centers and other commercial buildings are headed into defaults, foreclosures and bankruptcies. The reason: according to research firm Foresight Analytics LCC, $530 billion of commercial mortgages will be coming due for refinancing in the next three years -- with about $160 billion maturing in the next year. Credit, meanwhile, is practically nonexistent and cash flows from commercial property are siphoning off. Unlike home loans, which borrowers repay after a set period of time, commercial mortgages usually are underwritten for five, seven or 10 years with big payments due at the end. At that point, they typically need to be refinanced. A borrower's inability to refinance could force it to give up the property to the lender. A deepening recession and tight credit conditions are compounding problems in the housing market, suggesting that declines in home prices may continue well into 2009. Sales of existing homes tumbled 8.6% in November from the prior month to an annual pace of 4.49 million units, the National Association of Realtors said. The figure reflects contract closings, which lag behind sales activity, and as a result capture the credit-market turmoil that hit the economy starting in mid-September. New-home sales declined 2.9% to an annual rate of 407,000 units, the Commerce Department said, continuing a nearly three-year decline. The housing sector has been hit hard throughout the year by an oversupply of homes that gradually forced high prices to fall. Tumbling prices, in turn, hurt the overall economy by battering financial institutions, reducing the wealth of homeowners and prompting job cuts in the housing sector. Now, the worsening recession is further damaging the housing market. Consumers who lose their jobs are adding to homeowner defaults, pushing forecasts for when the sector will hit bottom into the second half of 2009 or later. Until the housing market turns around, the overall economy is unlikely to grow much. Economists call this cycle an adverse feedback loop. What this also means is that prices could fall below the historical ratios of income or rents until the economy rebounds. There is one glimmer of good news not reflected in the latest figures: a sharp drop in mortgage rates in recent weeks tied to the federal government's efforts to support the housing market. Though tighter credit terms are restricting many potential borrowers, lower rates could pull some potential buyers off the sidelines and slow the price declines. The Commerce Department's sales figures showed the median price of a new home at $220,400 in November, down 11.5% from a year earlier. The average price declined 9.2% to $287,500. The inventory of unsold new homes declined 7% to 374,000 at the end of November. That represents 11.5 months of supply at the current pace, down from 11.8 months in October. "Home-building activity has declined so much that the backlog of unsold units is starting to be absorbed at a fairly rapid clip even in the face of such a slow sales environment," said Morgan Stanley economist David Greenlaw, who added that inventories won't drop to "manageable levels" for six to nine months. Did the Bush Administration stoke the housing bubble? Did the 1997 change in the tax law for home sales launch the bubble? By itself, the change in the tax law did not cause the housing bubble, economists say. Several other factors — a relaxation of lending standards, a failure by regulators to intervene, a sharp decline in interest rates and a collective belief that house prices could never fall — probably played larger roles. By favoring real estate, the tax code pushed many Americans to begin thinking of their houses more as an investment than as a place to live. It helped change the national conversation about housing. Not only did real estate look like a can’t-miss investment for much of the last decade, it was also a tax-free one. The law’s defenders say that it also removed at least one tax incentive that had pushed homeowners to trade up. Before 1997, people had to buy a house that was at least as valuable as their previous one to avoid the tax, or else take the one-time exemption. Now they could buy a smaller property or move into a rental. Perhaps the most detailed analysis of the provision has been the study by a Federal Reserve economist, Hui Shan, who did the analysis while at M.I.T. Ms. Shan looked at homeowners with significant equity gains, before and after 1997, and compared the likelihood of their selling their house. Her study covered 16 towns around Boston and took into account a host of other factors, like the general rise in home prices at the time. The recent stats for Southern California from Dataquick are out, and home prices are down by 34.5% from a year ago, although not all counties performed the same. As we've seen in previous months, prices have fallen more steeply in inland counties such as San Bernardino (-44%) and Riverside (-38%) but less so along the coastal counties of L.A. (-32%), Orange (-31%) and San Diego (-31%). Foreclosures continued to drag home prices to new lows in November, as the Southern California median sales price slid to $285,000, its first drop below $300,000 since 2003. The flow of repossessed homes into the housing inventory persisted last month, undercutting all home prices and dominating sales. Foreclosed homes accounted for 54.6% of the properties sold in November, up from 18.8% in November 2007. Low prices pushed the total number of Southern California homes sold in November up 27%. Economists say that the sales of foreclosed homes will help the market find its bottom but that a return to rising prices is a long way off. That's because the sale of a foreclosed home doesn't provide the same boost to overall sales as a transaction that involves a homeowner who is selling willingly. An individual selling a house will typically soon purchase another home. That does not happen when a bank clears a foreclosed house from its inventory. By some measures, falling prices have made homes affordable to more Southern Californians. A National Assn. of Home Builders quarterly index showed that at the end of September, about one-fifth of Los Angeles-area residents brought in enough income to qualify for a loan on a median-priced home. During the height of the real estate boom in 2005 and 2006, only about 2% of Los Angeles-area residents could afford a median priced home, the index showed. "In three to four months we should be back to historic norms" of home affordability, said Christopher Thornberg, principal of Beacon Economics, a Los Angeles consulting firm. But that doesn't mean there will be a rush of home buying. Many people have lost their jobs, and some have lost savings they might have used for down payments. Others owe more on their mortgages than the value of their current homes and would not have the credit to qualify for a loan on a new home, even if their income would support it. Thornberg predicted that based on the pace of current price declines, home prices in Southern California will settle at 55% below their peak in late 2009 and probably remain at that level for some time. If, however, unemployment continues to rise, "that may take the life out of the near-term bottom," Thornberg said. Next wave of defaults to take down small business owners? I would like to bring a very important bit of information to your attention that relates to this economic crisis that was overlooked until now. On Sunday, 12/14/08, CBS 60 Minutes aired a segment "The Mortgage Meltdown". Scott Pelley's piece on the 2nd Wave of Foreclosures overlooked a critical fact. The segment missed the fact that this next wave of Foreclosures in 2009 Will Take Self-Employed and Smaller Businesses who have these TOXIC mortgages. In fact, ALT-A, Option ARMS, Interest-Only, the TOXIC Mortgages that are considered the "Troubled" assets in TARP were specifically marketed to the self-employed who fell prey to them. The upcoming defaults on these risky "Toxic Mortgages" will result in an increase in foreclosures. But worse, once these small businesses fail, the resulting loss of jobs will cause millions to add to the ranks of the unemployed. Note that self-employed business owners (16.2 million according to the SBA) employ between 1-10 employees. An NASE survey at www.nase.org , was the first to provide compelling evidence of small business involvement in the upcoming toxic mortgage crisis. The survey was created by Prof. Samuel D. Bornstein and Jung I. Song, CPA of BornsteinSong Consultants in Oakhurst,NJ,and was conducted by the National Association for the Self-Employed (NASE) which issued a Press Release on November 21, 2008. According to this survey, it is estimated that 3,709,800 small business owners hold Alt-A and other toxic mortgages, and 1,279,800 are already delinquent as they have missed one to three or more monthly mortgage payments at mid-November, before the expected Resets that are scheduled to begin in 4th Quarter 2008 through 2012. These small business owners will be at-risk of payment shock and default as their monthly mortgage payments skyrocket. Small business owners were especially targeted for these Alt-A loans which required little or no documentation of income which appealed to many small business owners who previously were unable to qualify. The resulting defaults will be the cause of the upcoming second tsunami wave of foreclosures that will dwarf the subprime crisis and will take many homeowners and small business owners. I would be happy to discuss the implications of the NASE Survey, since I created it and NASE ran it to its national membership (250,000). See the NASE website www.nase.org under NASE NEWS for the Toxic Mortgage Survey. • 22.9 % (3,709,800* At-Risk) of all self-employed business owners used risky or "toxic" mortgages or refinancing that are scheduled to "Reset". • 19.2 % (3,110,400* At-Risk) of all self-employed business owners are at-risk of "payment shock". They do not know the monthly mortgage payment that they will be required to pay at "Reset". • 18.4 % (2,980,800* At-Risk) of all self-employed business owners are very worried about the monthly mortgage payment due at "Reset". • 7.9 % (1,279,800* Immediate Risk of Default) of all self-employed business owners have already missed one to three or more monthly mortgage payments at this date before expected resets in 2009 to 2012. Each type of financing has inherent risks for the small-business owner and their firm. In this financial meltdown, home equity financing and lines of credit have been frozen or withdrawn, while credit card debt has been subjected to extra fees and higher interest rates. These forms of financing may become unavailable or too expensive to maintain, leading to cash flow problems and business failure for small entrepreneurs. • 33.9 % (5,491,800* At-Risk) of all self-employed business owners used their home for mortgage or refinancing to get cash for personal or business expenses. • 49 % used various forms of debt (mortgage, home equity, credit card, etc) to start their businesses. Credit Card Debt was 28 percent of total debt. • 66.9 % used various forms of debt (mortgage, home equity, credit card, etc) for additional cash for their business operations. Credit Card Debt was 39 percent of total debt. The new owner of the Century Plaza hotel has revealed bold plans to demolish the renowned facility and replace it with two sleek skyscrapers containing condominiums, stores, offices and a smaller luxury hotel. 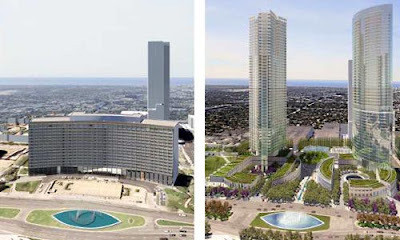 The proposal won praise Wednesday from Los Angeles Mayor Antonio Villaraigosa, who through a spokesman said it could "transform an aging hotel into an iconic destination and a state-of-the-art, mixed-use development in the heart of our Westside." But the development is certain to face scrutiny from neighbors worried that the Westside is becoming overbuilt. Traffic is already a nightmare much of the time, and city resources such as water and emergency services are stretched to their limits. Some opponents signaled that they would fight to protect the existing hotel. "We're seeing an assault on the '60s," said Linda Dishman, executive director of the Los Angeles Conservancy and one of several preservationists who increasingly are focusing their efforts on structures from the 1960s imperiled by new development. "If you look at Los Angeles in the '60s, the Century Plaza was one of the most significant projects," she said. Rosenfeld faces the worst climate for real estate since the early 1990s. The D.E. Shaw Group, Rosenfeld's financial partner in acquiring the hotel, will back the new development, said Francis Cappello, a senior vice president at D.E. Shaw, an international investment firm. Rosenfeld has a strong track record in large-scale projects. His real estate investment company, Woodridge Capital Partners, has substantial hotel, residential and office assets in the U.S. and Canada, including a 3.5-million-square-foot, mixed-use project being developed in Calgary. Last year he sold the luxury Carlyle condominium tower under construction on Wilshire Boulevard near Westwood for almost $150 million. By the time the new Century Plaza project is completed in 2015, Rosenfeld said, the economy is likely to have turned around. "This is a great opportunity to plan for the future," he said. The plan announced by IRS Commissioner Doug Shulman would speed up a process in which financially distressed homeowners may request that a federal tax lien be made secondary to liens by the lending institution that is refinancing or restructuring a loan. Taxpayers will also be able to ask the IRS to discharge, or remove, its claim to a property in certain circumstances when the property is being sold for less than the amount of the mortgage lien. "We need to ensure that we balance our responsibility to enforce the law with the economic realities facing many American citizens today," Shulman said, stressing that "we don't want the IRS to be a barrier to people saving or selling their homes." He said the program would focus on people who ordinarily pay their taxes in full but "because of these extraordinary times are getting behind in their tax payments." Fannie Mae, the battered mortgage giant, has agreed to act as an interim landlord for thousands of tenants living in foreclosed homes around the country. Fannie (FNM, Fortune 500) will sign new leases for the approximately 4,000 renters in its foreclosed properties, said spokesman Brian Faith. These tenants would otherwise face eviction, even if they had been paying their rent on time, because of the owners' failure to pay the mortgage on the property. Freddie Mac (FRE, Fortune 500), the other government-backed mortgage giant, has not announced any changes, but a spokesman hinted that the company is developing a new policy. "We are working through the operational details to provide something by January," said Freddie spokesman Brad German. German said it was in his company's best interest not to evict responsible renters. So why wasn't this rather obvious and common-sense approach implemented months ago? Good question! Every time I get some marketing piece from the loan broker who tried in vain to talk me into an Option ARM loan, I remember how hard she pushed for me to take it as opposed to the 30-year, fixed-rate loan at 5-5/8 that I ultimately chose. At first glance, it was a tantalizing prospect -- only pay the minimal amount and still be current on the mortgage? It seemed too good to be true, so I started doing my research, and once I saw those forbidding words "negative amortization" coupled with an adjustable rate, I told her no way, no how, not ever. Plus with fixed rates so low, I was only paying a $50 monthly premium for knowing exactly what my payment would be. Of course it also helped that right after college I worked for a mortgage company, helping to process and create loan documents and knew full well what negative amortization meant. So when my broker wouldn't let it drop, I told her if she mentioned it again I'd take my business somewhere else. Of course now I tell people with good credit and assets to simply go directly to a lender and save themselves some money. ...as the housing recession deepens, a coming wave of payment shocks threatens to bring another surge in defaults and foreclosures as these mortgages “recast” to higher monthly payments over the next two years. The next wave may be even more difficult to handle than the last one. “It’s going to get tougher to modify loans as these option ARMs come into their resets," Federal Deposit Insurance Corp. Chairwoman Sheila Bair told msnbc.com this week. "Those are more difficult than the subprime and traditional adjustable rates to modify because there is such a huge payment differential when they reset." So why did banks promote these loans in the first place? As usual, they were promoting that national value which has eclipsed everything else: greed. Some time after Sharren McGarry went to work as a mortgage consultant at Wachovia’s Stuart, Fla., branch in July 2007, she and her colleagues were directed to market a mortgage called the “Pick A Pay” loan. Sales commissions on the product were double the rates for conventional mortgages, and she was required to make sure nearly half the loans she sold were "Pick A Pay," she said. These “pay option” adjustable-rate mortgages gave borrowers a choice of payments each month. They also carried a feature that came as a nasty surprise to some borrowers, called "negative amortization." If the homeowner opted to pay less than the full monthly amount, the difference was tacked onto the principal. When the loan automatically “recasted” in five or 10 years, the owner would be locked into a new, much higher, set monthly payment. While McGarry balked at selling these pay-option ARMs, other lenders and mortgage brokers were happy to sell the loans and pocket the higher commissions. Another cascade of business bankruptcies in the housing, retail and commercial real estate sectors could happen during the next six to 12 months if consumers' confidence doesn't improve soon, both in terms of the economy and their personal finances. However, the likelihood of that happening appears slim, based on the dismal assessment of current and future market conditions by three real estate experts during an hour-long teleconference yesterday presented by the American Bankruptcy Institute. “Home builders will be able to wait out [the recession] if they can negotiate forbearance with lenders,” says Roof. However, she also thinks that “a lot” of small builders will eventually liquidate, which would open the doors for developers with cash to pick up land bargains. Click here for full column. In the midst of a downturn in the real estate market, some developers are finding that they no longer can sell condos in buildings that even a year ago would have been quickly snapped up. Flummoxed by a precipitous drop in qualified buyers, they are choosing to rent out their buildings instead. It's happening in downtown Los Angeles, and to a lesser degree in Hollywood and the San Fernando Valley -- areas where high-density housing has sprung up in recent years. Jan Lin, a professor of sociology at Occidental College, said the change is "something that you should be a little cautious about if you are a planner or city official concerned about the social fabric." Property owners are typically more invested in their neighborhoods and push for urban transformation that will better the neighborhood and increase their equity. But the revitalization of downtown was sparked much less by homeowners, said developer Tom Gilmore, whose conversion of old bank buildings along Main Street into rental lofts nearly a decade ago helped spark the revival. It was renters -- a mix of artists, young couples looking for urban adventure and professionals who worked downtown -- who began to build the loft scene that eventually led to new restaurants, bars and galleries, as well as luxury condos. Gilmore said downtown needs a mix of renters and owners. 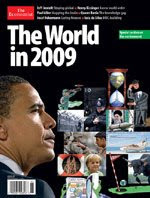 Such reform is also supported by key advisors to president-elect Barack Obama, including former Treasury Secretary Lawrence H. Summers, who will be chairman of the National Economic Council in the new administration. On Tuesday, Jerry M. Howard, chief executive of the National Assn. of Home Builders, said his group would no longer oppose the proposal. Continuing home foreclosures and the economic recession have opened the group to previously off-limits ideas, he said. Howard said his group's newfound flexibility on the issue was "a huge acknowledgment by the home-building community that in this crisis, old doctrines don't necessarily fly." He said the builders would be most likely to agree to a temporary expansion of bankruptcy provisions, not a permanent one. Builders will not oppose court-ordered mortgage modifications because they could keep more people in their homes, which in turn would mean fewer foreclosures flooding the market. Competition from cheap repossessed houses has made it difficult for builders to sell their vacant, surplus homes in many areas, Howard said. The nation's unemployment rate will rise to 8.5% by late 2009 or early 2010, according to the forecast -- further straining a job market that matched a 34-year high last month by shedding 533,000 positions. Undergirding the joblessness will be a continued decline in real estate values, diminishing wealth as a result of the stock market crash and weaker consumer spending. The forecast for California also appears grim. Manufacturing jobs are expected to disappear and tourism is likely to suffer from recessions overseas, the report said. The UCLA forecast comes two days after a similar report was released by Chapman University in Orange. A tongue-in-cheek rivalry has formed between the two schools. James Doti, Chapman's president, chided UCLA for failing to call a recession during its forecast in June. He also trumpeted his economists for being among the first to deem the nation's economy in recession last year. Leamer downplayed the issue in a phone interview Wednesday. "We don't particularly notice them," he said about Chapman. Known as Dr. Doom, the NYU economics professor saw the mortgage-related meltdown coming. The founder of bond giant Pimco warned of a subprime contagion back in July 2007. The Yale professor and co-founder of MacroMarkets called both the dot-com and housing bubbles. The FDIC chairman has been pushing to get mortgage relief for borrowers. The commodities guru predicted two years ago that the credit bubble would devastate Wall Street. The author and chairman of Montrose Advisors has 50 years of Wall Street experience. I presume that although we are in a severe recession it will not decompose into a full-scale depression, because that is what everyone is afraid of and desperate to avoid. Wall Street likes to say that the market has anticipated five of the last three recessions - the point being that a market crash frightens the authorities into taking necessary action. The Oppenheimer & Co. analyst was among the first to warn that the big banks had big problems. The billionaire chairman of W.L. Ross & Co. specializes in turning around troubled companies. We are clearly in a serious recession, and more aggressive action is needed to turn things around. The federal government initially underestimated the scale of the mortgage and housing crises and later panicked into an ever-changing series of ad hoc measures that at best dealt with some of the effects of the original crises. But homeowners have now lost $5 trillion, and 12 million families have mortgages in excess of the value of their homes. Therefore the economy will not stabilize until mortgages are adjusted down to the value of homes, with affordable payment schedules, and until new mortgages become available across the home-price spectrum. Till then, the poverty effect of falling house prices and unemployment moving up toward 7% will hold consumer spending back from its former 70% contribution to our economy.